Aamir Khan always meets everyone with grace and love even though he is a well-known and established actor. The Mann actor gets into fanboy moment whenever he meets any other megastar. 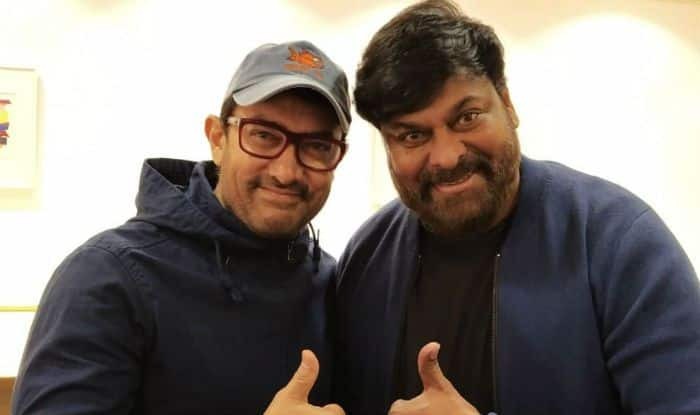 The same happened recently when Aamir saw Telugu superstar Chiranjeevi at Kyoto airport in Japan. Both the stars ran into each other and could not resist clicking an adorable picture together. In the picture, shared by Aamir, we can see the excitement on his face. Chiranjeevi was enjoying holiday with his wife Surekha in Japan. He went to chill for a while as he has a historic drama project to continue ‘Sye Raa Narasimha Reddy’. The film is being helmed by Surender Reddy. Amitabh Bachchan will also be seen in this project as he is playing a cameo. In March, director Surender Reddy took to social media to announce that Amitabh Bachchan has wrapped up his portion in the film. Aamir Khan, on the other hand, will be seen in Lal Singh Chaddha. During a media interaction on his birthday, Aamir shared the big news.